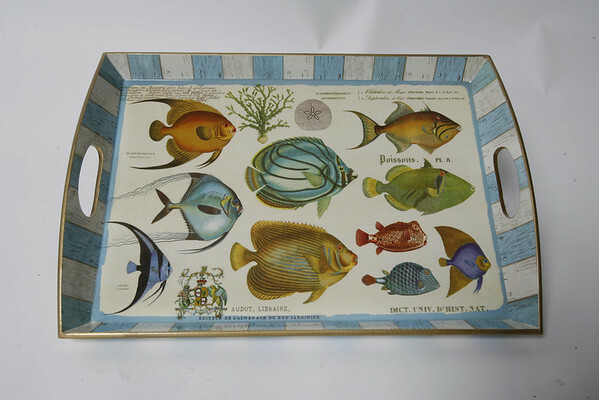 This tropical fish wooden serving tray, 20" x 13 3/4" by Michel Design Works, can take any meal or libations outdoors to enjoy. $44. There are papers plates and other items to match. Available at Pisces at 96 Main St. in downtown Gloucester.